How food goes from the producer to your grocery store isn’t a concern for most shoppers. But there is an entire world of marketing, sales, regulations and merchandising at work every time you’re rung through the checkout. While this world of food distribution is a mystery to many, it’s where Jordan Rogers, the Founder of Lloyd-James Natural Food Sales & Marketing, thrives. 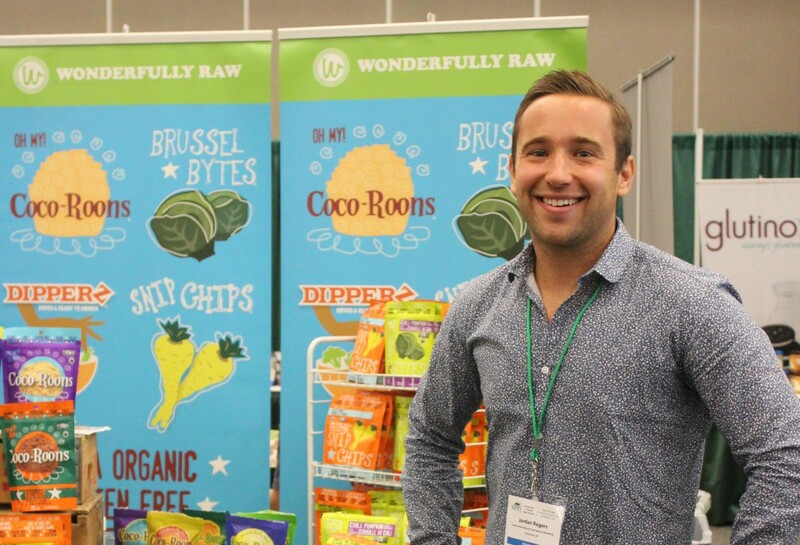 He runs Canada’s first natural and plant-based food brokerage, and he’s breaking ground with his vision to put healthy food into shoppers’ baskets. Food brokerages’ work isn’t visible to consumers, but they play a vital role of the food distribution system by connecting many food producers with distributors. But the process isn’t as straightforward as it sounds when producers face obstacles like tough competition, red tape and regulations. However, brokerages can help producers make providing great food possible, and profitable, too. Though it was only founded in 2013 and has just three employees, Lloyd-James Natural Food Sales & Marketing sells to three national retailers with over 700 stores, including 7-Eleven, works with distributors like Whole Foods and IGA and has a revenue growth rate of 600% since its first year in business. The business has also established a national presence, having opened a Toronto office last year. Jordan is a testament that persistence, focus and the smart use of resources can lead to success. He recalls being at a grocery store when he was 10 years old, thinking, “One day I will get one of my products on these shelves.” He continued to work towards this, and even specialized in entrepreneurship during his post-graduate Marketing Management program. After gaining seven years of hands-on experience in the corporate world, he returned back to his hometown to found Lloyd-James. While it’s crucial to be able to adapt to changing circumstances, staying committed to an overarching vision of what you want to achieve will help you overcome the inevitable obstacles you will face starting and growing your business. Jordan leveraged the wealth of resources, services and knowledge readily available to entrepreneurs and small business owners in BC to help launch his food brokerage, and continues to use them to fuel his business. He gains valuable advice from a Small Business BC Business Advisor, uses a business coach, draws from a strong network of mentors from both inside and outside of his industry and is a Futurpreneur Canada loan and BC Growing Forward Grant recipient. This full-service experience can be seen throughout Jordan’s relationship with his clients and suppliers, which has allowed Lloyd-James to build relationships with major distributors from the ground up, despite the business’ recent beginnings, small team and fierce competition. When you’re a start-up or small business, your resources may be limited. Devote yourself to your customers, and you may discover that word-of-mouth referrals work just as well as a massive marketing budget. Entrepreneurs and small business owners are unique individuals, and some may find inspiration from spontaneity, while others may get more done with intense singlemindedness. Experiment to see what techniques are the most productive for you so that you can reach your goals sooner. Finally, the Lloyd-James Founder makes sure to emphasize that business owners shouldn’t forget to measure the details. He says that he found bringing his attention to activities that generated the most ROI, setting KPIs and tracking his marketing network helped guide the growth of his business. But while these numbers are important, he still trusts his instincts, giving him the freedom and flexibility to think outside the box and try innovative sales and marketing concepts. Setting and meeting quantitative objectives are an essential part of directing your progress and staying motivated, but make sure to stay in touch with your instincts. Together, they ensure that your business stays on track and that you accomplish the vision that drives your business. Jordan’s story was driven by his drive to succeed, and was made possible by the help and resources from Small Business BC and other support. Get your business off the ground and growing with Small Business BC by signing up for our Ask the Expert sessions and other client services, and register for a wide range of business seminars. Be our next success story!